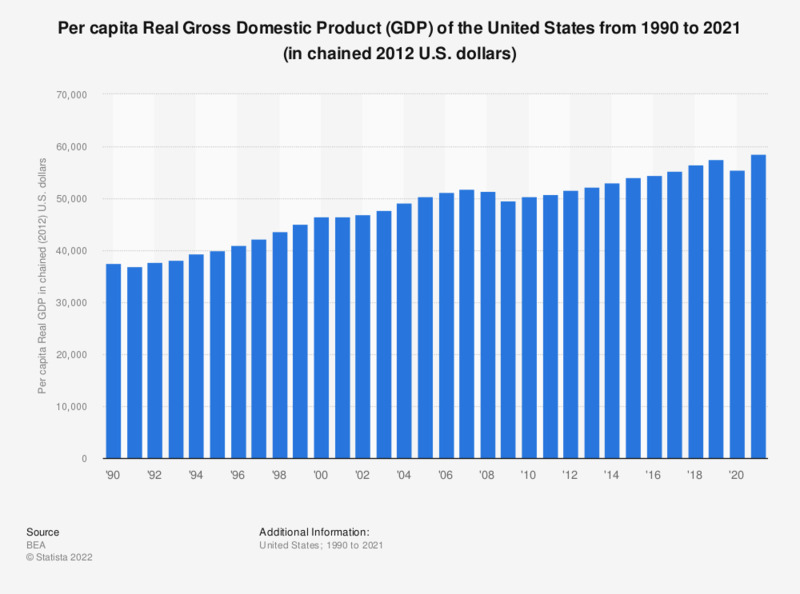 This statistic shows the per capita Real Gross Domestic Product (GDP) of the United States from 1990 to 2018. In 2018, per capita Real GDP amounted to 56,717 chained (2012) U.S. dollars. The real estimates of gross domestic product (GDP) are measured in chained (2012) dollars. Real GDP is an inflation-adjusted measure that is based on national prices for the goods and services produced within the United States.